Abu Dhabi’s Supreme Petroleum Council (SPC) has approved the Abu Dhabi National Oil Company’s (Adnoc) new integrated gas strategy and plans to increase its oil production capacity to 4 million barrels per day (mmbpd) at the end of 2020 and 5 mmbpd by 2030. The approval was given at an SPC board meeting presided over by Sheikh Mohamed bin Zayed Al Nahyan, Crown Prince of Abu Dhabi and Deputy Supreme Commander of the UAE Armed Forces and Vice-Chairman of the SPC. The SPC’s approval of Adnoc’s gas strategy will add potential resources that will enable the UAE to achieve gas self-sufficiency, with the aim of potentially transitioning to a net gas exporter, the company said. At its meeting, the SPC announced new discoveries of gas in place, totaling 15 trillion standard cubic feet. It also announced new discoveries of 1 billion barrels of oil in place and approved Adnoc’s new five-year business plan and capital investment growth of Dh486 billion ($132.33 billion) between 2019 and 2023. The gas strategy will sustain LNG production to 2040 and allow Adnoc to seize incremental LNG and gas-to-chemicals growth opportunities, where they arise, from the UAE’s dynamic demand/supply position and evolving energy mix, Adnoc said. Sheikh Mohammed reaffirmed the support of UAE President His Highness Sheikh Khalifa bin Zayed Al Nahyan for Adnoc’s transformation into a performance-led, more commercially minded organisation and its focus on creating long-term, sustainable value to enable the UAE’s economic ambitions. He also expressed the SPC’s recognition of Adnoc’s strong financial and operational performance, its use of creative and strategic partnerships to unlock and drive substantial value across the entire business and its strong commitment to maximising in-country value. Adnoc's integrated oil and gas strategy underpins its Dh165 billion Downstream investment plans announced in May, which will see the company triple production of petrochemicals to 14.4 million tons per annum by 2025. In May, at its Downstream Investment Forum, Adnoc unveiled a blueprint to create the world’s largest integrated refining and petrochemicals complex in Ruwais, which will enable it to further stretch the value of every barrel it produces. 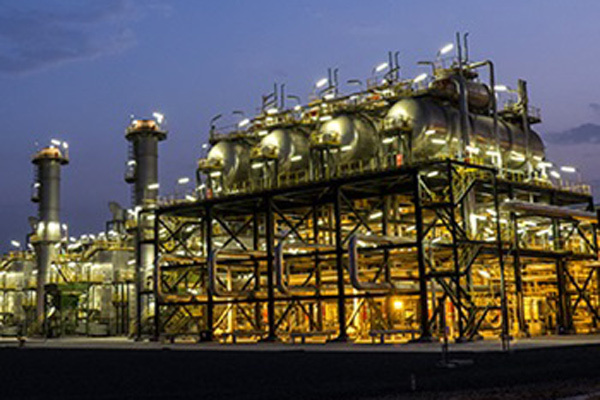 In addition to being used for power generation and other industrial uses, natural gas is the fuel that powers most chemical and refining processes. Through a combined programme of strategic partnerships and investments, Adnoc will increase its range and volume of high-value downstream products, secure better access to growth markets around the world and create a manufacturing ecosystem in Ruwais that will stimulate the creation of in-country value, private-sector growth and specialized job opportunities, the company said. Dr Sultan Ahmed Al Jaber, Minister of State and Adnoc Group CEO, said: “The SPC’s approval of our comprehensive growth plans, along with our historic gas self-sufficiency strategy, marks an important new, accelerated phase in the delivery of Adnoc’s 2030 growth strategy. In line with our wise leadership’s directives, our strategy will ensure we maximise value from all our resources to enable the UAE’s socio-economic ambitions. We will continue to unlock and deliver increased and commercially viable production from our oil and gas reserves, in response to the world’s growing demand for energy. “At the same time, the substantial investments we will make, in the development of new and undeveloped reservoirs, gas caps and unconventional resources, will ensure we can competitively meet the UAE’s growing demand for power generation and industrial use. While responding to domestic demand, we will maintain our international commercial commitments and seize incremental LNG and gas-to-chemicals growth opportunities,” Dr Al Jaber added. The integrated gas strategy is the first time in Adnoc’s history it has been in a position to commercially and holistically unlock its abundant new gas resources. One of the challenges in developing parts of Adnoc’s gas resources is the ‘sourness’ of parts of Abu Dhabi’s gas. However, a number of factors, including the gas pricing reforms introduced in 2016, enabling more market-based pricing, the availability of more advanced technology and Adnoc’s growing and industry leading experience in developing sour gas reservoirs are making it possible for Adnoc to unlock more gas resources and increasing value extraction, the company said.